If you have noticed a seemingly endless amount of insurance commercials on TV lately, you are in good company. There is a $5.7 billion advertising war going on right now for the hearts and minds of American consumers. This war isn’t for something sleek, like choosing a Corvette over a Porsche. It’s not a war for something stylish, like choosing Beats over Bose. It’s a war for insurance. Yep, insurance. Perhaps the single most boring product after toothbrushes. So what’s really going on here? Let’s dig in. Good marketing starts with establishing a brand that sets you apart from your competition. For example, how many insurance mascots and advertisements can you think of right now? According to Insurance Business America, Geico alone spends $1.2 billion annually on advertising. This is probably why the phrase “15 minutes could save you 15% or more” has rattled around in your head for the past few years. But all of these companies’ products are identical, more or less. And when you and your competitor’s products are the same, your branding better kick in to overdrive. So what does branding look like when it’s done right? To succeed in business, you must identify your target customers. For example, former Navy SEAL Eli Crane and his wife Jen have taken groomsman gifts and corporate promotional products and turned them into something unique through branding. 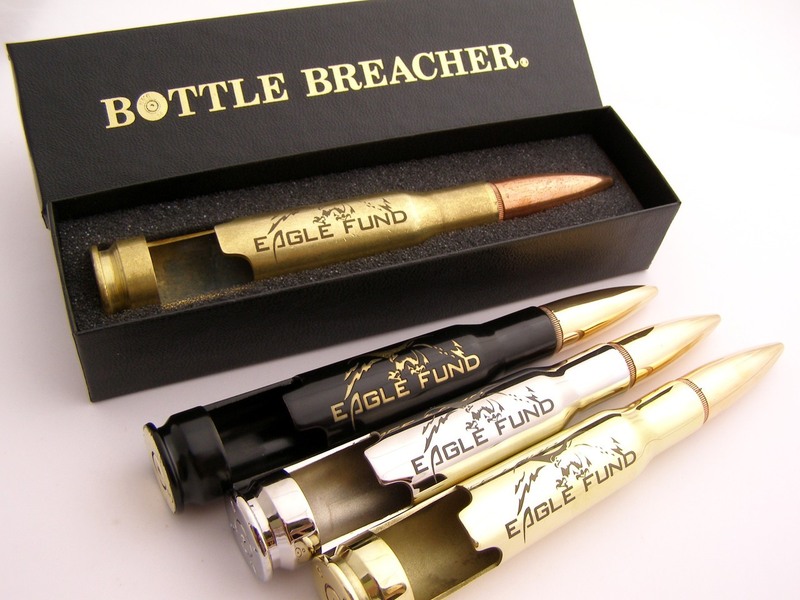 Their company, Bottle Breacher, takes bottle openers, cigar bores and apparel and cranks up the patriotism of these items to eleven. Their unique logos, design and personalization options are designed to appeal to a very specific audience. Eli and Jen are business owners who know their target customers: military servicemembers, veterans, first responders and patriotic Americans. Insurance companies also understand their target customers. For instance, companies like Geico and Progressive target Americans who are primarily interested in saving money. On the other hand, insurers like Farmers and Allstate focus on people who worry that they won’t be covered in a particular situation. In addition, your branding doesn’t have to be something tangible. Think about Zappos, an online retailer for shoes. When many Americans think about Zappos, they’re not thinking about shoes. Zappos is renowned for their world-famous customer service, free shipping and free return shipping within 365 days. Zappos’ customer service IS their brand. Zappos’ consistent messaging helps them differentiate their brand in a global market where there are thousands of online shoe retailers. Wal-Mart is another good example of how consistent messaging enables it to succeed in a digital world. What is Wal-Mart’s consistent messaging? It focuses on low prices and one-stop shopping. Consistency also makes your brand feel more dependable. Your customers feel more comforted by consistency. The last part of your brand differentiation is establishing and promoting your Unique Selling Proposition (USP). The idea of a USP is nothing new. According to Fast Company, the marketing term USP has been in use since the 1940s. In the case of Uber, their USP is simple: ‘Everyone’s Private Driver.’ Pushing a button secures a private car at your doorstep. From a revenue standpoint, the genius of Uber is that both the driver and passenger get value from the transaction. It’s the same with Airbnb; both the homeowner and house guest get value. Zeroing in on your Unique Selling Proposition requires you to be self-aware and creative. Have you given any thought to what makes your veteran-owned business different from the competition? Why would customers buy from you, instead of your competition? Who are your ideal customers? Consider their age, location, average annual income and viewpoints (liberal or conservative). Dig deep and find that niche in the market that is not being served with current products or services. Dial down until you have the perfect target group for your product or service. Veteran-owned businesses are already unique in that veterans are perfectly suited for entrepreneurship. You have the stomach to take risks, deal with ambiguity, maintain composure and show creativity under extreme pressure. But these days, just being a VOB doesn’t cut it. Competition is fierce, and you must have a fierce will to succeed and get ahead. The skills you learned as a byproduct of your military service makes you a formidable entrepreneur. In my opinion, veteran entrepreneurs are much more likely to survive the first year in which 80% of startups go out of business. You may sell a similar or even identical product/service as someone else, but you can still find those attributes of your company that make your brand unique. I look forward to buying from your veteran-owned business in the future. Now get out there and make 2018 your year!